Target Beauty Box – 3 New April 2019 Boxes Available Now! If you aren’t familiar, Target releases new beauty boxes typically on the first Monday of every month. 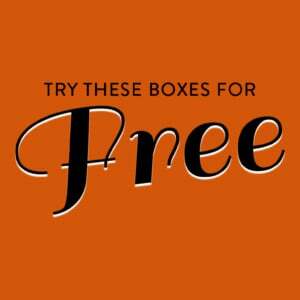 They are usually $7 each with free shipping and do NOT require a subscription. (You will have to buy the box every single month if you want it.) 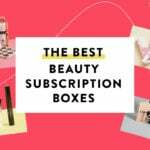 Target Beauty Box is very popular with MSA readers and has won places in multiple categories for the 2019 Subscription Box Awards, including the Best Beauty Subscription Boxes and the Best Skincare Subscription Boxes! I got the Naturals box and love it. 6 good size products with multiple uses. Me thinks some people just like to complain. Plus, you know, inflation *is* a thing. Your dollar buys less now than it did a year ago, postage went up quite a bit, etc. You can’t expect to get the same amount of product for the same price forever. MissJ, type best of Dermstore in the search section and it should come up. Great box, I hope you can get it! *Yawn* They WERE so much better. They downsized the box, added single use items, and continue to repeat items. If I see that dry shampoo again, I AM GOING TO SCREAM. Instead of offering the customary seven products in each box (as in the past), lets now offer 4-6 products in each box and offer additional boxes to order at 7.00 a pop. I can definitely tell whoever is doing the target boxes now are not the same. I haven’t bought a box in months. Run! There is also a new best of dermstore box and it’s soooooo good. Only seeing it on dermstores website right now. I was able to buy the Dermstore box. I originally had an error message when I clicked on it, but when I did a search for it, I was able to add it to my cart. I was able to buy it too. It’s still available. How do I find it??? I searched on their site and it just says the Holiday Kit is sold out, so I’m doing something wrong! Yikes…these 3 new boxes are not good. Seems like they could have combined into maybe two but the red box is particularly bad. NONE of them are moving me to purchase. I agree with some of the others that MAYBE for $5 I would but that’s a big MAYBE. Step it up Target! Hopefully May is better! Not as good as past boxes. I usually pick up at least one of these but not this time. Nope I wouldn’t pay for these at all, target needs to step it up ! I would definitely pay no more than $5 for any of these. Small, repetitive, boring. The one with the four items is especially bad. What is that even supposed to be?.. Where is the value? I know. What a joke. I did get that deodorant in previous box and it’s great, but the value is below price. The native deodorant is amazing! seriously, the best natural one I’ve used. None of these are worth $7 to me. Well, maybe the last one, but I already have Love Beauty & Planet and SheaMoisture products up the wazoo! They are in every Target box, I feel like! Dry shampoos and natural deodorants makes these easy to skip.